We're live music experts and party starters, infusing every event with energy and full dance floors. We're here to make your wedding the greatest party of your life! The Diamond Empire are a premium, customizable 3 to 14 piece band specializing in high-energy music–at a sensible price. 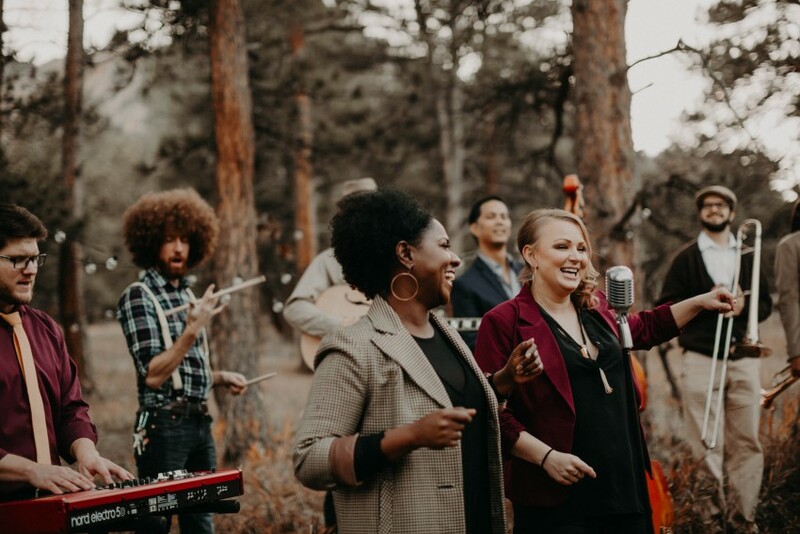 Our talented and professional musicians have performed regularly with touring and recording artists including Aretha Franklin, Bruno Mars, Charli XCX, Prince, The Lumineers, & Rihanna, as well as working and touring with numerous Broadway shows. Visit our website for upcoming showcase dates where you can see the band perform LIVE before booking. You can also tailor the dream band to suit your style and budget. The doors opened, the crowd arrived, the Diamond Empire Band started to play, and we went from 0 to 100 in 30 seconds. The band's sound and energy contributed significantly to the success of World Pediatic Project's inaugural "Rock N Heal" fund raising event. The music and the enthusiasm DEB brought to the stage ignited the crowd and created an up beat atmosphere all night long. Thank you Diamond Empire Band! I just wanted to let you know that we really enjoyed having the Diamond Empire Band play at our daughter’s Bat Mitzvah. You guys were incredible to work with and everyone was amazed at your range of songs. I can’t tell you how many people were impressed with your Horah and kept telling us so the following weeks at services. Finishing up with Danielle on the stage was a true highlight for us. Not only would I hire you guys again, but I have recommended you to all of our friends. You guys were very easy to work with and were very accommodating. The caterer at the synagogue even complimented you on how easy you were to work with. If you ever need a recommendation, do not hesitate to contact me. I have hired Diamond Empire Band twice and both times they have been absolutely amazing. They are so organized for the planning and have just a great attitude and vibe. And they are wonderful musicians! Everyone from our most recent party loved them and they were a huge part of our staff party's success! Diamond Empire band was kick a**, amazing, and by far one of the top 3 best decisions and favorite parts of our day! Curtis was so easy to work with and went out of his way to fulfill our dreams for our big day. He was so flexible and truly went above and beyond in coordinating. We had them play for our ceremony, reception, and even during cocktail hour. The whole band came together beautifully and each member was vital and so on point. They are so professional and classy but also have a blast up there and got our dance floor pumping. I am determined to watch them perform again and hope to attend a wedding they perform at again so I can just sit back and enjoy! Don't wait - book them!! You wont regret it!! Booking Diamond Empire Band was hands down the Best decision we made for our wedding reception. We had so much fun and so did all our guests! In the months leading up to our wedding, they were so quick to respond to emails with any questions we had and we even had a call before the wedding to talk through specifics! They are so professional and have tons of experience so they were able to help us figure out how we wanted the night to flow. Our reception was a Blast! They got everyone on the dance floor, from grandparents, to wedding party, to toddlers. They flawlessly transitioned from cocktail hour, to our entrance, to dinner, to a party! We’ve received countless compliments on DEB. If you are considering a band for your wedding, look no further!! We would recommend DEB to anyone and everyone. Our experience was incredible! We hired Diamond Empire Band for our corporate holiday party and they were great!! They listened and only played upbeat music we could all dance to and everyone loved them. Working with Elijah was so easy - it was so nice not to have to worry about anything with them. They also do showcases at the Hard Rock Cafe in Denver and it was so nice to get to listen to them before we hired them. All around it was an awesome experience working with them. The Diamond Empire Band traveled from Kansas City to Springfield, MO for our company Christmas Party. They met all of our requests for the type of music to play and when. We had a 1920's theme so they played softer jazz/swing type music through dinner and transitioned to newer top hits later in the evening which brought guests to the dance floor. They dressed for the occasion as well. Prior to the event, I corresponded with Curtis via email, he answered all my questions and always replied in a timely manner. There was a concern of inclement weather, but Curtis assured me they would be there. I was very pleased with this band from start to finish, and only heard positive feedback from the party guests. Great experience! Diamond Empire Band was amazing! Zakk was great to work with and the band helped make our wedding an absolute blast! Aubrey and Theo's voices were amazing and the band did a great job of keeping everyone on the dance floor throughout the night! The band was skilled at reading the crowd and playing music that everyone enjoyed! You will not regret using Diamond Empire Band for your wedding! We used Diamond Empire Band for our wedding and were so happy with the results. We heard them do a set at the Hard Rock Cafe and knew immediately they were the band for us. We had one member play guitar during our ceremony and cocktail hour and then a 6-piece band during the reception. They were professional, reliable and very fun! The dance floor was packed until the MC had to announce the event was over! Diamond Empire Band was absolutely incredible. Elijah was a complete professional before the event, responding timely to all of our questions and providing insight about how they have seen events go smoothly in the past. The band allows you to tailor make it to whatever size and composition you would like. We had a duet violin and guitar perform for the ceremony and then a more traditional band for the reception, and we also used their MC services. They crushed every aspect of the night. We even threw them some curve balls and with less than a week to go, we asked them to perform some oddball songs that I highly doubt they have ever seen before, and they executed them flawlessly. During the reception they worked the crowd wonderfully and had everyone dancing. On Don't Stop Believin,' one of the vocalists even called me and my bride up to do a little singing of our own totally spontaneously and it made our night extra special! I truly cannot recommend Diamond Empire Band enough. If you want responsive professionals that will knock it out of the park and give you a night to remember, you will not regret booking them! Diamond Empire exceeded our expectations for our wedding. We threw a very nontraditional wedding at a local brewery and reached out to Elijah and Diamond Empire Band and they were incredible to work with. The 4-person band was amazing for the outdoor space we had and they did an incredible job reading the crowd and playing music across a wide range of genres. We had a few special requests and they fulfilled all of them. The band members were amazing musicians, very friendly and overall a phenomenal addition to our special day! Thank you Kelley for another great show at Sac & Fox Casino on New Year's Eve.The nine piece band was spot on. The vocals were amazing and the set list had everyone on the dance floor. Always great to work with you and your band. When we started wedding planning, live music was a priority for us. I highly recommend Diamond Empire Band. Vocalist/manager Emily Merrell is fantastic to work with -- super responsive, helpful, and flexible. She worked with us to find a way to get the most bang for our buck as far as the ensemble we hired, and then she worked with us on song selection and notes for MCing. Most importantly, the reception was a blast thanks to DEB! Our guests have been raving about how awesome the band was. I'm so glad we decided to go with live music and with Diamond Empire Band. Diamond Empire Band (DEB) played our ceremony music with a string trio and then our reception music with a 5 piece band. Nothing beats live music and their team did an outstanding job! Emily the main singer was my point of contact for coordinating the timeline; music selections for ceremony and first dance etc. She was a pleasure to work with!!! Quick to reply, anticipated needs, and was extremely personable. Knowing DEB likely has 1-2 weddings ever weekend Emily really made me feel like ours was special and unique. Thank you so much for all you did Emily! First off, scheduling them was very easy and Emily was communicative and helpful. They honored our wants and needs in a very professional way. They organized their set up and worked with wedding coordinator smoothly and when we arrived at the reception, we pleasantly surprised to see our guests enjoying the great music. They added structure to the event and not to mention all the fun. I can't imagine the party without them! They had great energy and great sound. We had an outstanding wedding. Great band. They took the time to learn some songs that we wanted at the wedding and they helped us weed out the songs we didn't want too. They played right up until the cops came for a noise complaint (the neighbors aren't supportive of wedding celebrations I suppose..) by no means were they too loud. They also helped with timing things like the first dance and father/daughter dance, cake cutting, etc. I wouldn't of gone any other way. We loved our experience with Emily & the Diamond Empire Band. 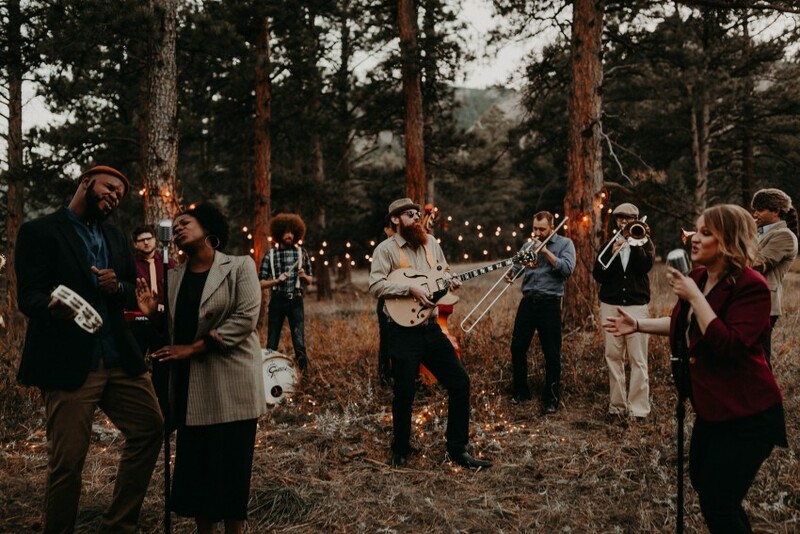 We planned our Utah wedding from NYC and didn’t have the chance to hear them live (our photographer had recommended them after hearing them at a wedding she photographed). We were blown away when they started singing at our wedding (they sound great on their website… but they sound even more amazing live!) and we received rave reviews from our guests. Emily’s has a stunning voice (in fact, one of our musically gifted guests said “I’m in love with her voice” which is saying something considering he was a musical theater major in NYC…) and the band did a great job of reading the room and keeping the energy up since we wanted people dancing! We had asked them to learn a few songs for us – which they did incredibly well. In particular, we asked them to learn a traditional Jewish dance song hava nagila (which is sung in Hebrew…) and they nailed it. It was honestly the best hora we’ve ever seen which is saying something considering it was a song they’d never played before. Overall, they did a fantastic job and we would not hesitate to recommend them to anyone! We had reached out to a quite few other bands in the planning process and can say with 99% certainty you will not find a more reasonably priced band with their level of quality, professionalism and talent. The band was great to work with from beginning to end. They were very organized and communication was great. They were a lot of fun and very engaging on the day of our party. Everyone had a blast! Thank you Diamond Empire Band for a WONDERFUL time! We picked Diamond Empire Band because we knew they were versatile enough to play all types of music, and professional enough to handle everything so we didn't have to stress. We definitely picked the right band :) Emily is super talented and her communication was very responsive and helpful. I was a huge fan of the planning page and all of the communication that went out during the planning process! Concerning flexibility- Emily was able to extend their band sets to work for us, which really meant a lot since our timeline was shorter than normal. They also learned a couple of our favorite songs for us and were able to accommodate all of our requests. On our big day, things were so crazy that we didn't really even get to spend a lot of time with the band, but they were totally able to function without needing any supervision or direction. DEB really is top notch and I would recommend them to anyone!! They made our day so special and we can't thank them enough. Book Diamond Empire Band Immediately! I would recommend the Diamond Empire Band again and again...a million times over. I could not have been more pleased to work with them. I researched a hundred bands before landing on the Diamond Empire Band, and what really sold me was the fact their pricing is beyond reasonable and they would post when they were playing shows near you so you could check them out. The first time I ever heard the Diamond Empire Band, I knew I had to book them immediately. They are more than just a typical cover band. They are beyond talented, with their own sound and energy. They are true artists!!! Throughout the whole planning process, they were always so quick to respond to my emails or set up calls with me when I had questions. They were always honest and would provide insights based off their expertise rather than just trying to tell me what I wanted to hear. I truly appreciated it, and it was one of the reasons my wedding day was perfect. I had a solo guitarist for the ceremony and then a 5 piece band including 2 vocalists for the reception. Every single one of my guests said that the music was what made the night. There was a perfect mix of old and new, appealing to all the ages of my friends and family, literally keeping everyone on their feet all night. I cannot thank the Diamond Empire Band enough. If you are looking for a band...don't look any further. The Diamond Empire Band is who you need to book without a doubt! Did a great job for the ceremony, cocktail hour and dinner reception. People of every age bracket commented on how good they were. I am a musician myself and couldn't have been more pleased. Kellie and the Diamond Empire Band in KC were amazing! Kellie was easy to communicate with from the very start, and we were able to meet her and listen to music from a variety of the KC area musicians during the band's showcase. The band took into consideration the music styles we like and came up with a great set list. They were able to read the room really well - softer jazz music during dinner, upbeat afterwards. We had a small wedding and were a little worried no one would be dancing, but our dance floor was full all night long - it's hard not to get up with such great music :) The band was also willing to learn several songs they didn't already know for the mother-son dance, etc. One of my favorite parts was when Kellie came up during the reception and told me they'd learned my favorite song and she loved it and wanted to be sure I was on the floor when they played it. They are incredibly talented - you really can't go wrong with this group of musicians! Diamond Empire Band was absolutely awesome. Leading up to our wedding, they were helpful and flexible during some last minute changes that we had for the day/ceremony location. They did a great job with the ceremony music, and were incredible during our reception. The dance floor was packed for the entire night, and we received countless compliments on the band. I couldn't be happier with our decision to have Diamond Empire Band play our wedding. Hats off to Kelley and the Diamond Empire Band in Kansas City, MO for their performance at our ceremony and reception. We have had multiple comments that the music was absolutely perfect from the time the guests walked in the door throughout the entire evening. The trio was flawless and made our ceremony extra special. And how about the band during the reception? Oh my goodness, These guys know how to keep the party hopping. It was so much fun and we have no doubt the band made the reception. Diamond Empire was phenomenal and we appreciate everything they did to make our day even more special. Kelley was wonderful to work with throughout the entire planning process and leading up to the big day. Thank you for everything! DIAMOND EMPIRE BAND IS BEYOND AMAZING! Stop looking for another band. Diamond Empire is it! Emily, the lead singer/point of contact, is absolutely incredible. She was responsive, proactive, and completely on top of every last detail. The full band is worth every penny and made our wedding so fun and unforgettable. If I ever have an event that warrants this type of entertainment again, I will book in an instant. They can play everything and really know how to read the crowd. Book them they are amazing and you will be happy you did!! I could not have asked for more! Seriously, I could not have been better! They are amazing! We hired the Diamond Empire Band for the ceremony, cocktail hour, and the reception. All of it was AMAZING! For the ceremony we hired a string trio and a pianist. I chose some kind of atypical indie songs (like Jonsi, etc.) for our processional that didn't have sheet music. I was prepared to hear that they wouldn't be able to play the songs because sheet music didn't exist but the band arranged the music themselves! It was so beautiful! I couldn't have asked for more! For our cocktail hour the Jazz trio was outstanding and definitely made our cocktail hour feel really fun and special. And lastly, for the reception, they were wonderful! From the first song when the dancing started to the very end, the dance floor was packed! The band assured me beforehand that it was their job to keep the dance floor full and that they would make it happen! Everyone loved them. Even now, weeks after the wedding, people still tell me how great our band was. "The best wedding band they've ever heard!" Definitely hire them! You get way more than your money's worth with Diamond Empire. They are fantastic! Band got everyone dancing. Great variety on music!!! I booked this band for our wedding reception and I couldn't have been any happier with them. Not only were they amazing the night of the wedding, but they were extremely helpful in the planning process. Everything you need is on their band planning webpage which makes it really easy to plan and helps so you don't miss anything! They made the process fun, laid back, and stress free. We told them we wanted our reception to be a big fun party, and that's exactly what is was! Everyone had a blast, and told me numerous times how much they loved the band. They also played all of the types of music I hoped for and asked for on the planning page. It was so much fun! Not to mention the quality of their music is amazing- they were unique and very talented! Although the price seems expensive at first, it is actually pretty reasonable when comparing to other bands at their level. It was worth every penny! Love this band so much and can't thank them enough for making our wedding such a blast! I'll never forget it! Also, they traveled to Ruidoso NM for our wedding which was helpful and price was very reasonable for travel! Diamond Empire Band is an Obvious Choice! It took a matter of minutes for us to know that we wanted to hire the Diamond Empire Band. Their energy, enthusiasm and overwhelming talent radiates through each and every band member. From start to finish Curtis was there to answer questions and make the process as simple as possible. I had a surprise song that I was going to sing during the reception, and Curtis not only was more than willing and eager to help me pull off my surprise, but helped make it a perfect moment that we will remember for a lifetime. Friends and family are still talking about how incredible the band was a month after the wedding! The entire room was dancing the moment the tempo picked up. This band knows how to turn a great event into an epic one. The only mistake you can make is by choosing “NOT” to hire them. We truly believe that they were what made our event so incredible. We will use them for every future event, without a doubt! They covered the music for our ceremony, cocktail hour and a few hours of a reception with a 7 piece band and they totally blew us away and were worth every penny! The Diamond Empire Band are trained proffessional musicians with a wealth of knowledge and experience under their belts. They offer a fully customizable performance in all aspects, from band size, to performance length, to music style and more. We are capable of performing smooth jazz one night, then 80s glam rock the next, to a Great Gatsby style 1920's Big-Band the next! We're live music experts, wedding enthusiasts, and party starters, infusing every event with energy and full dance floors. We're here to make your wedding the greatest party of your life! The Diamond Empire are a premium, customizable 3-14 piece band specializing in high-energy music for festivals, weddings, corporate events and private functions–at a sensible price. 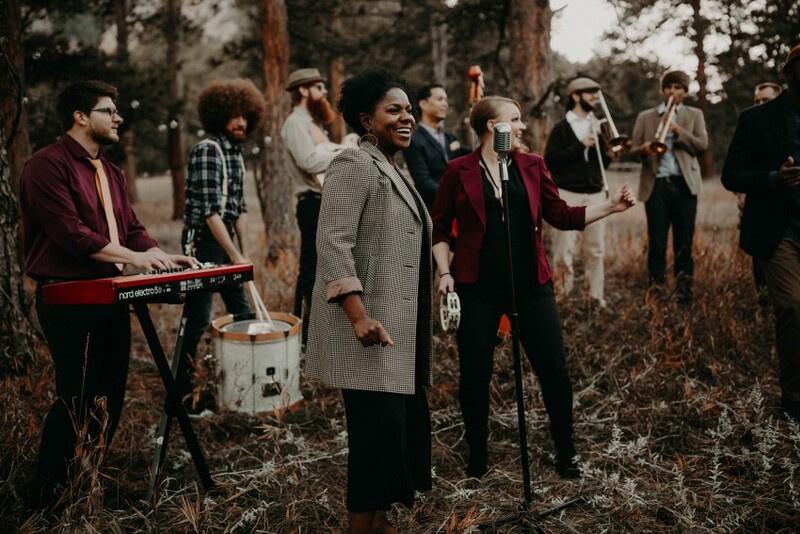 Our talented and professional musicians have performed regularly with touring and recording artists including Aretha Franklin, Bruno Mars, Charli XCX, Janelle Monae, Lenny Kravitz, Prince, The Lumineers, and Rihanna, as well as working and touring with numerous Broadway shows. Visit our website for upcoming showcase dates where you can see the band perform LIVE before booking–showcases also make for a great date night or fun evening out with friends! 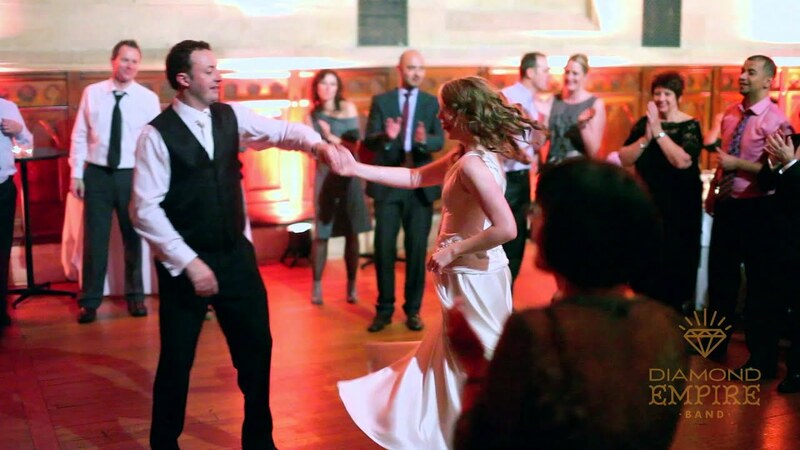 This is an ideal opportunity for you to see the quality of music we provide, and make decisions about the music for your big day based on personal experience. You can also tailor the dream band to suit your style and budget. Anything from a 3-piece band up to a 14-piece band with full horn section, percussion and backing vocalists. Any style from jazz, pop, funk, Motown to big band - or even the 80s... The Diamond Empire Band are dedicated to excellent service throughout your planning process. You’ll benefit from a designated producer to help with planning and promptly answer any questions you may have along the way. We also provide you with your very own band planning page, making the experience a breeze! Our pricing ranges from $1,900 to $8,000, but every quote is customized to your event needs so don't hesitate to reach out! Speak to us about any lighting, staging or sound questions you might have. We are professionals who have a great deal of experience in all these areas so we will be able to help. Wake Me Up Before You Go Go , Wham!